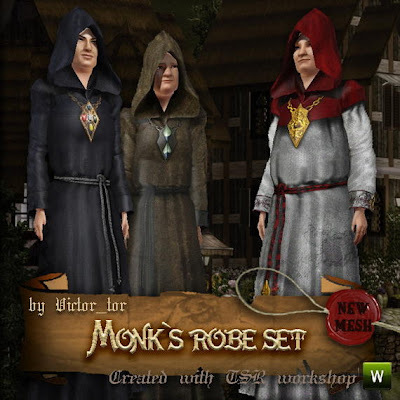 Now I want to add my last creation - Monk robe set. It has been made for Medieval challenge on TSR. Set is consist of two parts. There are three recolors in first part, and four recolors in second.